We’ve manufactured quality liners for 60 years. 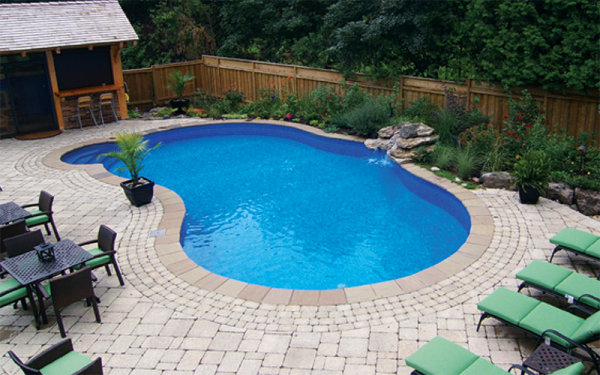 Kafko offers only premium pool liners designed to withstand harsh environments. with algae inhibitors, which aid normal sanitizers to protect your liner for a long life. We have a variety of choice patterns available in 20 or 27 Mil, 27/27 Mil blend, 27/20 Mil blend. Ask your Kafko dealer for information on which choice is right for you. Kafko True-Fit liners are manufactured under strict Quality Control Procedures to ensure exact fit. Available in a wide array of styles and custom designed shapes, choose a Kafko new or replacement liner to stylize your backyard!